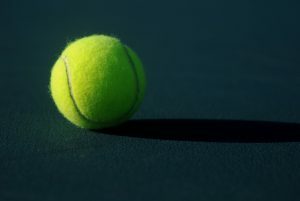 If you’ve never played tennis, learning the game can be daunting. Tennis is a challenging sport to learn for most people. Players need years of practice to get really good. You may only be looking to play for fun. If so, you probably have no intention of being a tournament player. Or maybe you’re a newbie who wants to get up to speed quickly. If so, have no concerns – you’re in good hands. This post will bring you up to speed quickly, giving you the basics on how to play tennis. 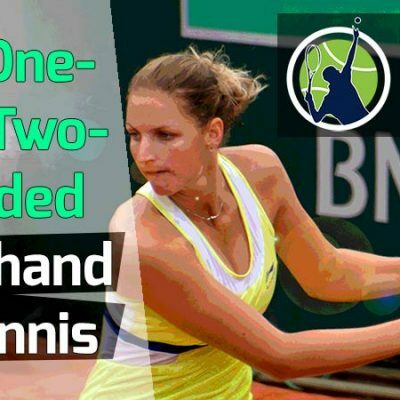 In this post, I’ll teach you the easiest way to hit the forehand, backhand, serve and volley. We’ll talk a little about footwork too. The point of this post is not to turn you into Roger Federer or Serena Williams. 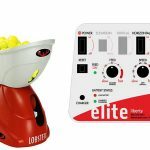 It’s to get you playing quickly as a tennis beginner so you can enjoy the game. 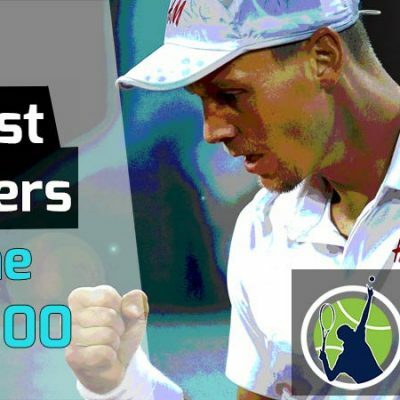 After reading this post you will be able to rally, hit basic serves, and know the fundamentals of tennis footwork. Without further ado, let’s jump right into the first lesson, which is the basic ready position. In tennis, you are either hitting the ball or waiting for it to come back. When waiting for it to come back, you’ll need to assume the basic ready position. There is no movement involved with this position. It’s just setting up in a position from which we can move to or hit the tennis ball. The ready position is absolutely essential if you want to play well and not look like a total newbie. Here’s how you do it. Stand with feet slightly wider than shoulder width, facing the net. Toes should be forward and knees slightly bent. Your weight should be more on the balls of your toes than your heels. Hold the racket out in front of you. Your elbows should be about 4-6 inches away from your body. 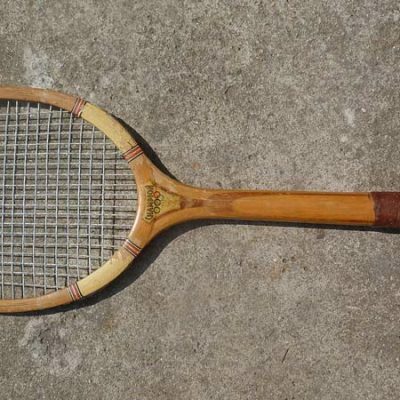 The top of the racket should be around chest level. When holding the racket have the dominant hand at the bottom of the handle. The other hand will be on the throat of the racket. This is the basic ready position and you can use it anywhere on the court – baseline or net. After you hit serves, groundstrokes, and volleys, return to the ready position as quickly as possible. The only times you will not get back to the ready position after a stroke is when you are out of position. If you are out of position, quickly get back into position and then assume the ready position. If you’re coming into net, use the ready position when your opponent begins to hit the ball. If you can take a small jump off one or two feet into the ready position, this is called the “split step”. The split step should be used to prepare for all returns (at least in theory). It allows you to move in any direction quickly or set up for a groundstroke, volley or overhead. The forehand is like the queen in chess. If the queen is the most powerful and versatile piece on the chess board, the same can be said for the forehand in tennis. 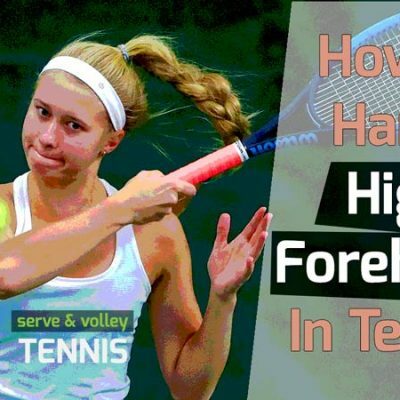 Most of your groundstrokes will be hit with the forehand. Even the best players in the world run around their backhands (to hit their forehands) when they can. A good forehand can dictate the point and end it with power. However, at the beginner level consistency is much more important than power or placement. All you need do as a beginner is keep the forehand in play. This will win you the majority of points. Proper technique for the forehand is vital to its success. Let’s go over it now. I’ll be giving instructions for a right-handed player throughout this post. Lefties do the opposite. From the ready position, change your grip to the eastern forehand and slide your left hand to the throat of the racket. You should still be facing the court at this point. From here I want you to make a unit turn. You do this by keeping your feet in the same place but turn your torso so that it faces to the right side. It’s fine if your knees bend and feet pivot slightly. At this time, you can take your left hand off the racket and point it to the right side of the court. Your right arm (the one with the racket) will extend back. Make sure the tip of the racket head is facing behind you. The strings on the racket side that will hit the ball should be facing the right side as well. As the ball comes to you, step towards the ball with your left foot. Your left foot should be in front of your right foot, about shoulder-width apart. At this point, you can begin the forward swing. Swing to waist level contact point if possible. Follow through with the swing until the racket is over your left shoulder. The right elbow should be head height and facing the net. Once the swing is completely finished, you can return to the ready position. When you bring the racket in back of you (step 4), try to lay the wrist back (called extension). This will cause the handle of the racket to be at about a 90-degree angle to your forearm. Contact the ball with your racket in front of your body. Around the toes of your front, left foot is acceptable. Keep your eyes on the ball the entire time. Don’t grip the racket too hard. A medium squeeze is fine. Allow the back foot to rise onto the toes during and after the ball is struck. This ensures proper weight transfer. If the ball is hit to the opposite side of your body (the left side), you’ll need to hit a backhand. Yup, that’s right. The dreaded backhand that plagues all beginners. Fortunately, the backhand is a more natural motion for most people to execute than the forehand. Think of tossing a frisbee or disk. Most right-handers toss a frisbee from their left side. The backhand is an essential shot in tennis. If you can’t hit a backhand, you’re dead in the water. Most beginners can sort of figure out the forehand. But the backhand is a different story. If you never had a backhand tennis lesson, it’s an extremely difficult shot to hit or learn on your own. The good news is that you have me! I’m going to teach you the easiest way to hit the backhand (keep reading). You may not be aware of this, but the backhand can be hit with one hand or two hands. I highly suggest learning the two-handed backhand and staying with it. It’s much easier to learn, execute, and control. So here we go. From the ready position, you’ll want to have a continental grip for the right hand. The left hand will hold the racket with an eastern forehand grip. The right hand is always on the bottom of the racket. The left hand goes above the right hand. There should be no space or very little space between the hands. Just like you did on the forehand, make a unit turn, but to the left. The feet should remain in the same position. Only the torso will turn. It’s okay if your knees bend and your feet pivot slightly. As the ball is coming to you, step forward with the right foot. It should be on a slight diagonal to the left foot – slightly to the left of it and shoulder-width apart in front. This allows a weight transfer forward. 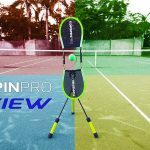 After you put the right foot down (waiting maybe a split second) begin to move the racket into the ball, hitting it at waist height (if possible). Contact the ball near the right, front foot. If you contact the ball too far in front or back, the shot will not work. Continue swinging the racket until it finishes over your right shoulder. Your left elbow should be head height and pointing towards the net. Your back foot (left foot) should be off the ground or on the toes. 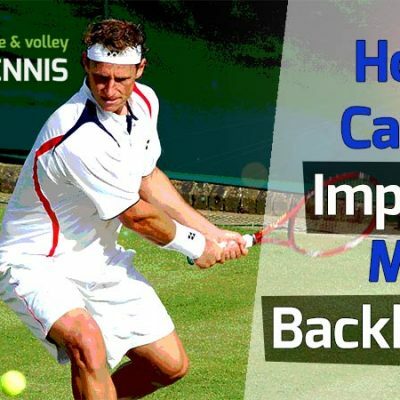 When you bring the racket back, the tip of the racket should be facing the back fence. You can make the backhand much better if you use flexion in your right wrist. This will drop the head of the backhand below the hands allowing for topspin. Once you begin the swing, keep the racket moving through the ball all the way until the finish point. If you want to ensure you are finishing correctly, remain in the follow-through position for 2-3 seconds after completing it. Check your form and make sure your left elbow is nice and high. Only do this during practice, not in a match. In tennis, the serve is the most complicated stroke. It’s the only shot that you have full control over. You start the serve and you end it. It’s also an essential shot, as every point in tennis begins with the serve. The serve involves a series of complicated movements. These movements need to be performed correctly inside a small window of time (several seconds). As a consequence, it can take years to master the tennis serve – or at least be really good at it. I actually have an entire blog post and video on how to serve in 10 minutes. 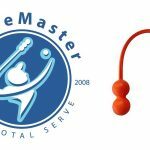 It involves using the ServeMaster, which is a tennis teaching device. But I’ll assume you don’t have one conveniently on hand. So I’ll modify my instructions. Before I begin, I need to warn you that if you can’t toss the ball, the serve ain’t happening. You’ll need to toss the ball accurately to serve – meaning around the same spot. I’m telling you now, you can’t toss the ball a foot or two outside your target zone and still hit the ball. If it’s a matter of a few inches, we can work with that. But if any more, we, or rather you, are going to struggle with the serve. Alright, enough talk. Let’s get into it. Stand with your body at a 45-degree angle to the net post. If serving from the deuce side (right side of the court), your chest should be facing the right net post. The left foot should be near the baseline (but not touching it) at a 45-degree angle – facing in the direction of the right net post. The back foot (right foot) should be about 6-10 inches from the left foot. The toes of the right foot should be close to the heel of the left foot. The grip on the racket will be the eastern forehand grip. The continental grip is for advanced serves, and we don’t have time for that here. Raise your right arm into an L-shape. It should look like you’re about to throw something. If this was a judicial court, it would look like the “I swear to tell the whole truth and nothing but the truth” pose. At this point, you should be in the correct stance and grip with your right arm in a throwing motion. The tennis ball will be in your left hand. Next, your left hand is going to toss the ball, starting from your left leg, palm facing to the right. Raise your left arm, keeping it straight, without twisting your hand. When raising your arm, do so at a medium speed and let go of the ball around head height. Do not toss the ball very high – it shouldn’t go more than 2-3 feet higher than your head. The toss should put the ball 6-8 inches to the right of your head. When the ball is near its zenith, move the right arm forward in a throwing motion and contact the ball, reaching up to hit it. The tossing arm should drop when you move the right arm forward. After making contact with the ball, allow the hitting arm to continue its motion until finishing on the lower left side of your body. Alright, I know, easier said than done. But that, in a nutshell, is the easiest way to serve in tennis (unless you serve underhand). We want to keep all the moving parts very simple. A low toss, short arm motion, and keeping the feet on the floor will simplify the motion. Remember, we are not trying to serve 100 mph. The main objective here is to get the ball in the service box to start the point. You can set up the same way on the ad side of the court, which is the left side. It’s definitely going to take practice to get acquainted with the serve. Don’t get frustrated if it’s not going into the box right away. It will, with practice. One more thing about the serve. Don’t try to hit the serve too hard when starting out. Strive for consistency and swing about 50% speed, building up from there. Later on, you can go for power. Here are some keys on the serve. Keep your eyes on the ball throughout the serve. It’s important to look up to see the ball when hitting it. Hold the racket with a medium-to-light grip. If possible, allow your weight to fall forward when you serve so that you get a little bit of your body into it. If you want, you can step forward with your right foot after striking the ball – but only after the ball has made contact with the racket. Make sure your feet are not touching the baseline or going over it (in the air is okay) while in the serving motion. This is called a foot fault and is illegal. Once the ball is hit, you can step or go over the baseline. Don’t tense your arm when swinging. Allow it to be loose and finish easily on the left side of your body. If you make a bad toss, it’s okay to not hit it and try again. As long as you don’t swing at the ball, you can take as many tries as you like. However, your opponent may not like you anymore. A volley is a shot taken out of the air before it bounces on your side of the court. A rally shot is a forehand or backhand hit after the ball bounces on the court. 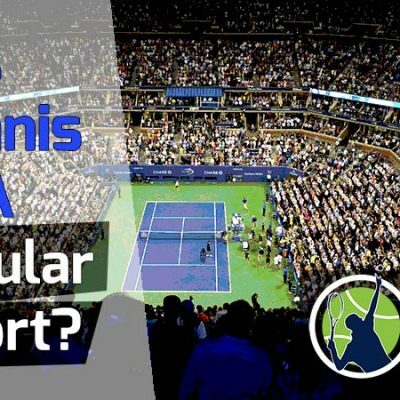 Most beginners are confused by the terms “rally” and “volley”. Now you know the difference. And knowing is half the battle, isn’t it? 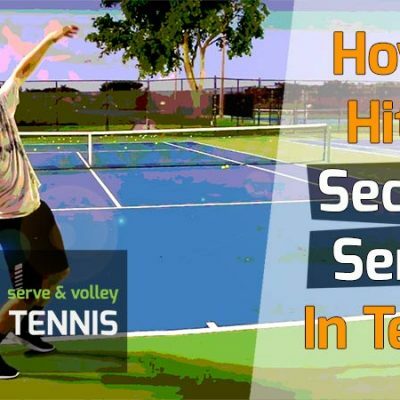 In tennis, you need to know how to volley. It’s especially true in doubles. I briefly want to go over some tips for the volley so you’re not left in a lurch here. Since the volley is a very simple stroke, we’ll skip the execution part. There are a ton of volleys that you can learn, but for now, a block volley will do. To volley, start in the ready position and simply block the ball with your racket. A good way to think about this is to imagine what it would be like to catch the tennis ball your racket. Don’t overly complicate the volley. Just let the ball come to your racket. That’s all you really need to do for now. Let me give you a few other tips that could make the volley easier for you. Use a continental grip. Any other grip used on the volley will get you into hot water. Keep the head of the racket above the hands on a 45-degree angle if possible. Always start the volley from the ready position if possible. After hitting a volley, either get back to the ready position or move closer to the net and then get into the ready position. When hitting the backhand volley, you’ll need to turn your shoulders so that your torso is facing the left net post. This is essential. On the forehand volley, no turn is needed although a slight turn of the shoulders is best. Keep a medium-squeeze grip on the racket. On very fast-paced shots, a light grip is required. Let the ball come to your racket. Don’t try to move the racket to the ball or make any extraneous movements with the hand or wrist. If possible, keep your arm relatively straight when you volley and contact the ball in front of you. When most people think of learning or playing tennis, they think forehand, backhand, and serve. Footwork is not a word that comes to mind. However, it’s one of the most important aspects of tennis. Without proper movement, you’ll be like a fish out of water. It’s not a good look. The famous coach Rick Macci said that tennis is a movement game. If you’re not willing to move, you shouldn’t be playing. While that sounds harsh, there is some truth in it. 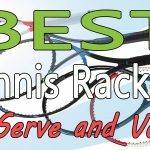 I want to go over basic tennis footwork, so you can move around the court efficiently. At the least, you’ll have a good idea of what you need to do. Now, on the court, you’ll either be moving forward and back or side-to-side (laterally). Let’s cover the various directions now. It doesn’t matter if you move to the right or to the left, the footwork will still be the same. There are two basic ways to move laterally. The first is to shuffle or side-step. This is where you move your feet together and then apart, repeating as much as necessary, all while moving in one direction. The second way to move laterally is simply to run. If you need to cover a large distance or get to a ball quickly, you’ll need to run. Running is the quickest way to move in tennis (in any direction). For covering short-to-medium length distances laterally, you can shuffle. The shuffle is a lot slower than a run, however, it takes less energy and is used more often. If necessary, we can actually increase the speed of a shuffle. And you thought it couldn’t be done! The solution is to make the first move a cross step. The outside foot will cross over and in front of the inside foot and then the inside foot will slide in back and to the side of it. This allows you to cover a larger distance on the first step. The crossover step is only used on the first step. After that, you can simply shuffle back to position. 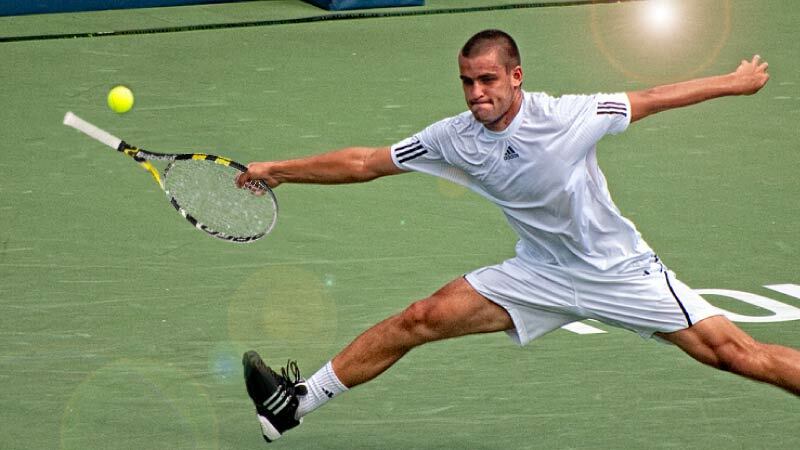 In tennis, you’ll be shuffling from side-to-side on almost every rally. So get used to the footwork. To move forward we can run or turn to the side and shuffle forward. Most of the time it will be a slow run. When moving forward to the ball, slow down and stop once you get near it. You should only ever move full speed to a ball if you absolutely must. To move backward, turn to your side (right for the forehand and left for the backhand) and then shuffle backwards. To move faster, make the first step a cross step and then shuffle. If you need to move very quickly, which usually happen when you’re at net and get lobbed, turn completely around and run! 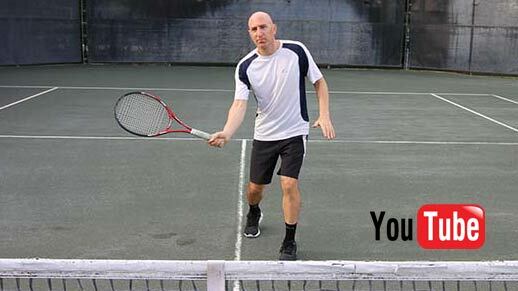 When shuffling to the side (right or left), hold your racket to the side you are moving to. For example, if moving to your right to hit a forehand, place the racket to the right side of your body and away from it. This allows for early preparation and makes setting up quicker and easier. Try to slow down when approaching the ball and stop to hit it if possible. If moving forward, hold the racket out in front of you. This helps to ensure early preparation. When backing up with a shuffle, hold the racket to the side you will be hitting the ball. If a forehand, it will be to the right side. If a backhand, the left side. Try to stay in the middle of the court after returning the ball to your opponent. If you find yourself away from the middle of the court after hitting a shot, run or shuffle back to the middle and then assume the ready position. When shuffling, try to keep a low center of gravity. If you bend your knees and stay low, you can move quicker. If you find yourself near the service line, either move back to the baseline or closer to the net. Don’t hang out by the service line, which is referred to as “no man’s land”. I know there’s a lot of information in this post. Tennis is not a game you can easily explain how to play in a post. Use this information in conjunction with the videos. The videos show you the “how to” and the blog post fills in the details. Don’t worry if you can’t get the hang of hitting the ball right away. It may take a few times – or a lot of times – before you figure out timing and such. But you’ll make progress each time you play. The most important thing on your groundstrokes is to turn to the side and get the racket behind you. If all else fails, do that. As for the serve, there’s a bunch of different drills you can do to improve. One drill I really like is to hold two tennis balls – one in your tossing hand and the other in your serving hand (instead of your racket). Toss the ball with your tossing hand and then throw the other ball with your racket hand. This simulates a real serve very well. Practice taking shadow swings before you play. Do at least 10 on each side (forehand and backhand). For footwork, practice shuffling side-to-side and try out the cross step. For the serve, another good drill is to simply practice your toss without swinging at the ball. If you follow my advice, you’ll have the basics covered. My hope is that after a few times practicing, you’ll be able to play games and hit basic groundstrokes and serves – hopefully in the court. Tennis is a barrel of fun and quite addictive once you get the hang of it. 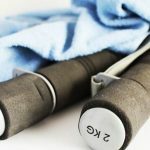 Believe me, if you implement the information in this article (and my videos) you’ll be miles ahead of your beginner friends. If you have any questions for me, drop them in the comment section below. Have fun playing!